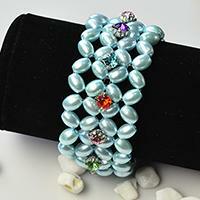 This tutorial is about making a wide beaded bracelet with blue pearl beads and colorful rhinestone beads, if you like pearl jewelry, don’t miss this one! Do you love DIY choker necklace? 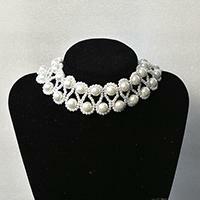 Here I will show you a tutorial on how to make a pearl bead choker necklace. Let’s see the details together. In this PandaHall original DIY project, we will show you how to make a slave bracelet with pearl beads and a rhinestone, hope you like the design. Do you love wear flip flops? 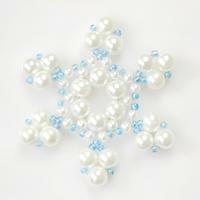 Today's article will show you how to make a fashion pair of pearl bead flower flip-flops at home. Would you like to make a beaded hair crown? 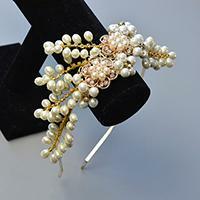 Today, I will show you a pearl and crystal hair accessories pattern, hope you like it. 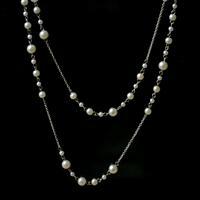 I love long layered pearl necklace with chain. 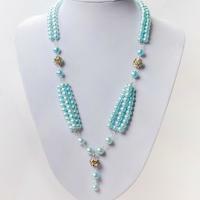 So, I want to share you how to make layered bead necklace with detail steps. Hope you will like it! Want to make your own silver jewelry? 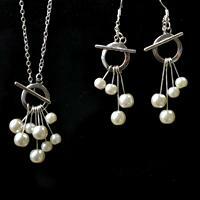 Here, this tutorial will entirely tell you how to make your own silver jewelry with pearls and headpins. I like pearl jewelry very much. So, today I will share you a simple tutorial on how to make a triple strand pearl necklace. I bet you will like it! Today’s tutorial is to show you pearl bracelet and earrings, hope you like this olive pearl bead jewelry. Are you an office lady? If yes, please click out this tutorial about how to make a pearl necklace with ribbon tie. I bet you will love it! 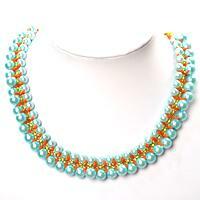 Do you like beaded collar necklace pattern? 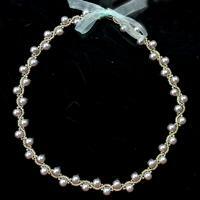 Here I will teach you DIY pearl collar necklace. I like long fashion necklace very much. 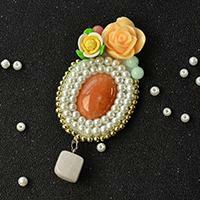 Here I will introduce you a new way on how to make a beaded long necklace. 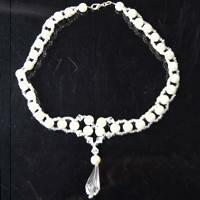 Like double stranded pearl necklace DIY? Well, this tutorial is entirely about how to make a pearl necklace DIY at home. Hope you will like it! 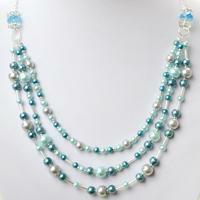 Here I want to introduce a light cyan pearl bead weaving necklace, hope you like this pearl beads necklace design. Want to make a unique woven chain necklace? 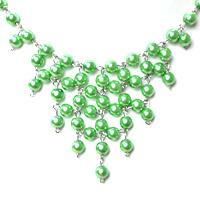 Well, in today’s patterns, I will show you how to make a woven chain necklace with pearls. Don’t leave, it is so fabulous! Look for beaded statement necklace? Well, today’s jewelry making tutorial is entirely about how to make a beaded statement necklace. Hope you will like! 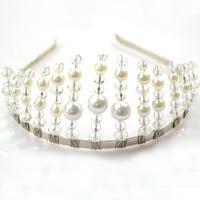 This wedding choker necklace is so clear and shiny, it is very suitable for wedding ceremony, you can DIY one for yourself.